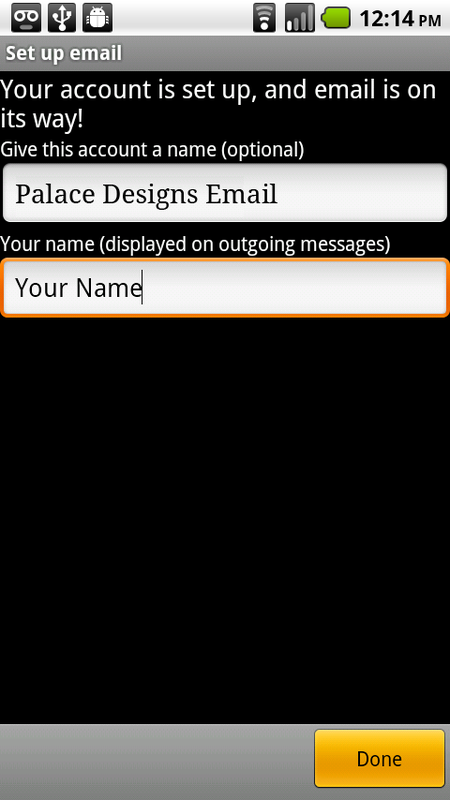 To setup your Palace-Designs hosting account email on your Android phone, please follow the below steps. 1) Select Email from the Application list. 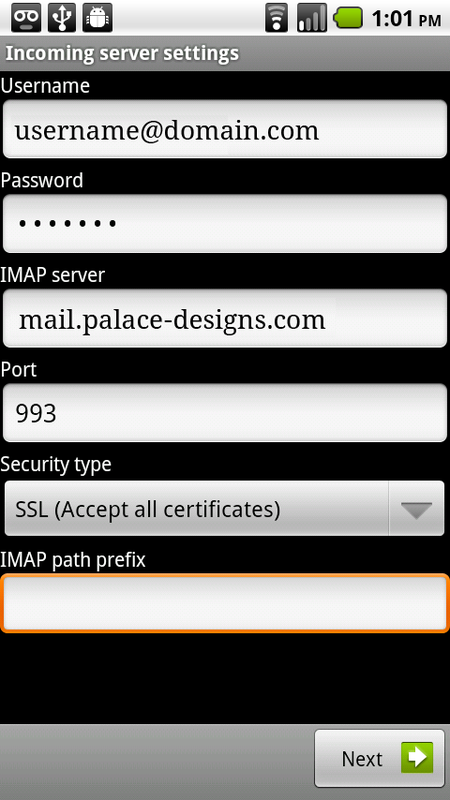 3) “What type of account is this?” Select IMAP. * Check – Require sign-in. 6) “Email checking frequency” – We recommend “Never”. 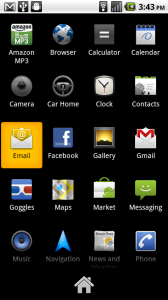 Automatic email retrieval will significantly reduce your battery life. 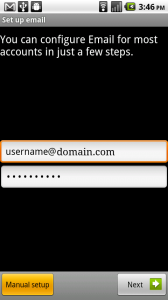 “Send email from this account by default” – If you want to use this email account as your primary email account for this device, then place a check in the box. 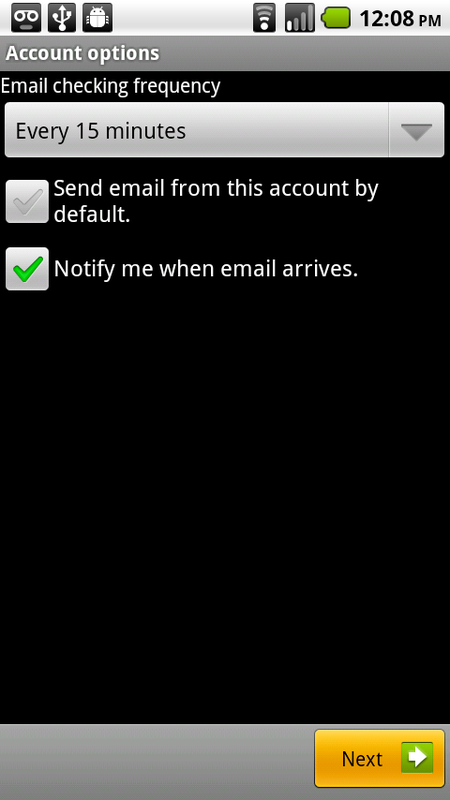 “Notify me when email arrives” – If automatic email retrieval is set, this option will notify you of new mail. If automatic retrieval is not set this option is moot. 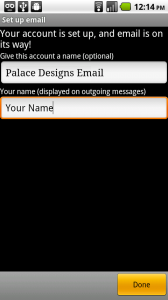 7) “Account Name” – Choose whatever you’d like to call the account, “Palace Designs Email” is fine to use..
“Type your name” – The name you want to appear on your outgoing email “From:”. Your full name will work. 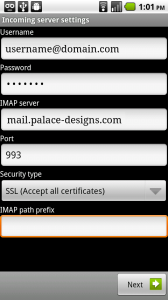 Your device should start receiving email. 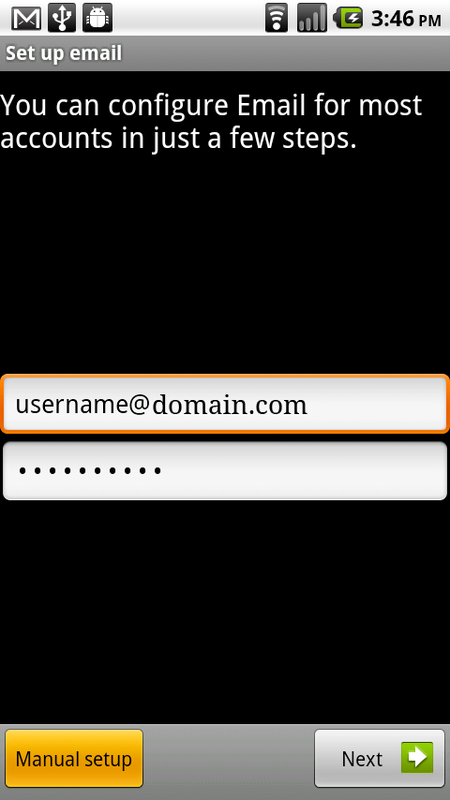 To check email, Press the MENU button, and choose Refresh. 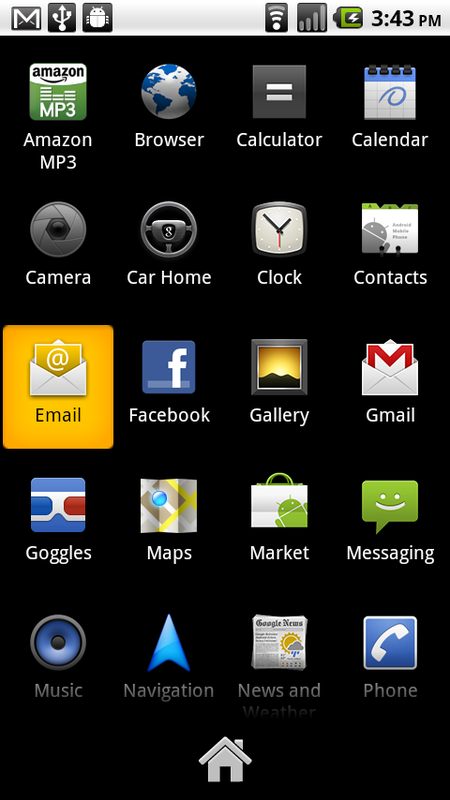 To compose email, Press the MENU button, and Compose.